April officially marks National Distracted Driving Awareness Month. It began last year as FocusDriven wished to take a stand against cell phone use and other hand-held device use while operating a motor vehicle. Since the start of this program, the safe driving advocates of the National Safety Council have joined the cause to help decrease the risks of distracted driving car accidents in Boston and elsewhere in the United States. Boston car accident attorneys urge residents to join the fight against distracted driving — we encourage all drivers to put their full attention on the roads and in-car distractions at all costs to help keep motorists on our roadways safe. -The growing popularity of cell phones has only increased the risks of distracted driving accidents. In 1995, cell phone subscriptions covered a mere 11 percent of the United States population. In 2010, that number grew to 93 percent. -At any given time, nearly 10 percent of drivers are actively talking on cell phones. -Using a cell phone behind the wheel makes you four times more likely to be involved in an automobile accident. -In a recent AAA Foundation for Traffic Safety survey, 70 percent of respondents reportedly admitted to talking on a cell phone while driving in the last month, yet more than half of them acknowledged that the behavior poses a threat to their personal safety. It is estimated that nearly 20 percent of all reported car accidents that resulted in injury were caused by distracted driving. In 2009, there were nearly 5,500 fatalities and more than 448,000 injuries reportedly influenced by a distracted driver. More specifically, nearly 1,000 of the fatal accidents reported the use of a cell phone as the distraction. Those under 20 currently have the greatest proportion of distracted drivers, as 16 percent of them involved in fatal car accidents reported distracted driving as the cause. It is not uncommon for a distracted driver to be involved in unsafe conditions on our roadways as driving while distracted gives you the same reaction time as a legally drunk driver, having a blood alcohol content level of more than .08. The NSC finds National Distracted Driving Awareness Month to be the perfect opportunity for employers to create or enhance cell phone policies in the workplace in order to protect workers. The NSC provides resources for employers looking to enhance on the job safety, including a free Cell Phone Policy Kit. 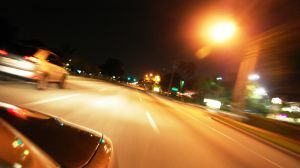 If you or a loved one has been injured in a distracted driving car accident in the Boston area, contact Massachusetts Car Accident Attorney Jeffrey S. Glassman for a free and confidential appointment to discuss your rights. Call 877-617-5333.